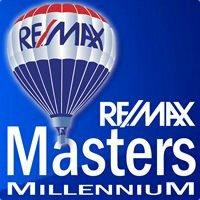 Whether you are buying or selling your home, Tori is the best agent anyone can ask for. She is very knowledgeable, professional and friendly. Tori helped us sell our town home and buy a house. Having two little children, we wanted this transition to go as smoothly as possible and that is exactly how it went. Tori made it incredibly easy. She was always very flexible, quick, and responsive and she took the time to answer any questions we had, at any time. Few of the things that I absolutely love about her are her motivation, patience and feed-back. She pointed out positive and NEGATIVE things about properties/ neighborhoods we looked at. She was never pushy or in any rush to close the deal unless we were truly happy and fully satisfied. Also, Tori had great resources and recommendations for people/ companies to use for house inspections and other services. Working with people she recommended was a pleasure as well and we felt great knowing that our house was well inspected and in great condition. Having such a wonderful experience with her, I would recommend her to my closest friends and family.